By installing security and alarm systems, you can reduce the cost of your home insurance coverage by hundreds of dollars per year or more. If necessary, be sure to order additional flood and earthquake coverage in order to protect as much as possible the investment in your home. Home Insurance - Do I Really Need It? You never know what can happen to your home in the future. Fortunately, with home insurance, you can avoid losing your house and your possessions to fires, storms, and other unfortunate events. Home insurance can also cover liability in the event that somebody in your house is injured, as well as that person’s medical payments. Many plans will even provide you with free food and shelter if your house becomes unliveable. For all of these reasons, home insurance is one of the easiest ways to reduce the risks of home ownership. Whether you’re considering ordering home insurance, or you already have a plan, it’s important to understand what allows you to get home insurance discounts. By implementing the following tips, you can easily reduce your policy by hundreds of dollars – or more – per year without sacrificing your coverage. Install An Alarm: Homes that have a centrally-monitored alarm system are far less likely to get burglarized than those without alarms. 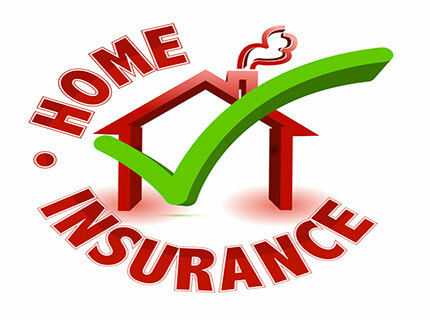 Home insurance agencies recognize this by offering a discount on your plan. This discount is one of the largest that you can receive – around 10 to 20 percent. Mortgage-Free Discount: Everybody would like to pay off their mortgage. One additional perk of living a mortgage-free lifestyle is the discount offered by home insurance agencies. In many cases, this discount is as large as the one offered for installing an alarm system. Upgrade Your Security System: After installing strong locks on all your doors, and implementing a motion detection security system, your home insurance will go down. Install A Carbon Monoxide And Smoke Detectors: Whether you own home insurance or not, these devices are important to carry in your home. However, with this house insurance policy discount, you get an extra benefit. Older Homeowners Save: If you’re over a certain age, like 50, then many home insurance agencies will offer a discount. Remove The Diving Board From Your Swimming Pool: Simply having a swimming pool will increase the amount you pay for insurance. However, by removing the diving board – which is where most injuries occur – you can limit the amount you pay. Keep in mind that most home insurance policies will not cover things like groundwater damage, which means that you may have to get additional coverage if you live in a flood-prone area. In addition, those who live in an earthquake zone will want to order earthquake coverage on their policy. There is nothing more frustrating than paying for home insurance your entire life, only to lose your house to a natural disaster that isn’t covered by your policy. Protect yourself from this threat by researching home insurance plans today. One out of 5 homes in the U.S. will experience a break in or some type of home invasion. This works out to more than 8,000 every day. There are approximately 28,800 property related crimes per day. This is about one property crime every three seconds. There are about 8,640 burglaries committed each day. This works out to about 1 burglary every 10 seconds. Get home insurance information delivered directly to your inbox.